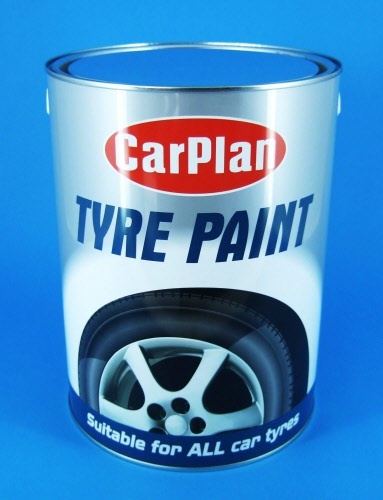 RLA TyrePaint5 - specially formulated to restore that 'new look' to tyres. Ideal for covering overspray and scuff marks on rubber surfaces. RLA Tyredressing - 5ltr, Water Based, High Gloss, Silicone Free. Instructions - Simply wipe on with a soft, cloth, clean, lint-free cloth or brush. Not suitable for motorbike tyres.